A freelance writer living by Moreton Bay. Visit my website at www.traceylloyd.com. Home to a collection of antiquities from around the world and well known for its annual Abbey Medieval Festival, the Abbey Museum of Art and Archaelogy at Caboolture follows the history of civilisation from prehistoric man to the modern age. It has been recognised internationally for the quality of its displays including its stained glass collection which numbers over 50 pieces and is one of the largest in Australia. The stained glass collection features windows from medieval through to Edwardian times and charts over a 1,000 years of European stained glass production. 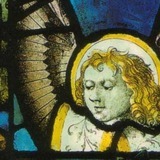 The collection includes a 13th Century window and several pieces from England's famous Winchester Cathedral. The Abbey Museum is also home to St Michael's Orthodox Church of Christ the King where you can view the stained glass collection. Other religious artefacts that can be seen at the Abbey Museum include a 17th Century Italian Bishop's Chair, a 14th Century Koran, an Italian Crusader Crucifix from 1250 AD and a 15th Century oil painting of Madonna and Child. Travelling back further in time takes us to Greece, Rome and Egypt. The Abbey Museum has collections from all of these regions and they include an Egyptian death mask from 1000 BC, bronze foot armour from Greece from 5 BC, an Etruscan bread stand (circa 600 – 500 BC) and a Roman plaque of Apollo from 1 AD. Asian antiquities form part of the Abbey Museum's collections and include a Qing dynasty jade fish, a Japanese wakizashi (short sword) from the 17th Century and an 8th Century Chinese Tang Dynasty fluteplayer tomb model. The Abbey Museum is open Monday to Saturday between 10am and 4pm. Entry is $8.80 for adults, $6.00 for pensioners and students over 16, $5.00 for children aged 4 – 16. A family pass costs $19.80 and covers entry for 2 adults and up to four children. Situated at The Abbey Place (off Old Toorbul Point Road), Caboolture. If driving take the Bribie Island exit (if coming from Brisbane) or the Toorbul/Donnybrook exit (if coming from the Sunshine Coast) off the Bruce Highway. If using public transport catch the train to Caboolture and transfer to a Bribie Island Bus Lines service which will drop you off on Old Toorbul Point Road. The Abbey Museum is around a 10 minute walk from the bus stop.